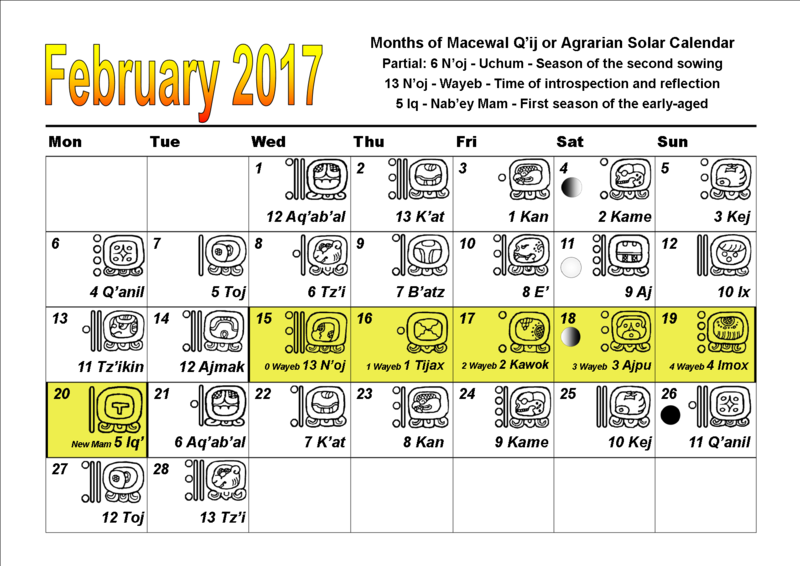 Here are the days of the Chol Q’ij mapped onto the Gregorian month of February 2017. This is a special month as it is the month in which the new solar year is celebrated in traditional highland culture. The 19th February will be the last day of the year 4 N’oj and 20th February will be the first day of the year 5 Iq’.